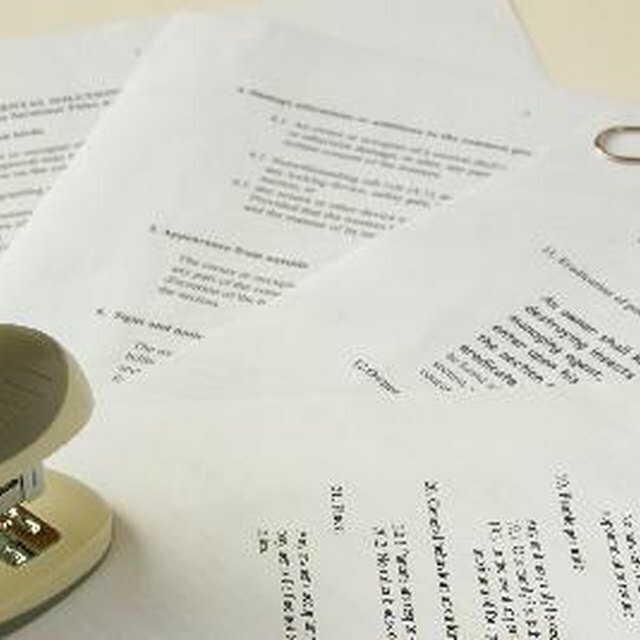 A standard land lease outlines the terms and conditions of the leased land between the leasing parties, often known as the lesser and the lessee. The leasing agreement is created to outline the rules of the lease, so both leasing parties are protected under the law. A standard land lease in the United States must mention the governing jurisdiction in which the land is located to suit the legal requirements and laws in the state or county. A standard land lease must outline the basic information for both the lesser and lessee. The required information includes the contact information for both the lesser and the lessee, including the physical address of residency, phone number and email address. If the land being leased has a house or building on it where the lessee can reside, the leasing contract must outline how many tenants are expected to be living there. Even though the lessee may only mention himself on the leasing contract, the lesser must know how many people are on the premises for residency for insurance purposes. Information about the land being leased must also be included in the agreement. This includes a description of the size of the land, what facilities are currently on the land, what changes can be made to the land, and what cannot be changed on the land. If the land is being leased to store heavy equipment near a construction site, the lesser may not want the land to be altered in any way. For instance, if the land being rented is used as a temporary storage site for heavy equipment, the lesser may not want the property to be damaged by the equipment. When a lease is created, it is often created with a given leasing period in mind. This can be an annual period or an undetermined amount of time. The undetermined amount of time is outlined on a month-to-month basis. The lease agreement will also present the monthly rental payment that must be made by the lessee to the lesser once a month. Any security deposits or insurance payments will also be explained in this section. The lessee may be satisfied with the existing lease as the renting period comes to an end. The land lease should explain the procedures for a possible lease extension. This can include signing a lease extension document, paying an increase in the monthly land rent and a new set of leasing agreement terms. The lessee and the lesser must both sign the standard land lease to make it legally active.